Weights are based on the manufacturers advertised weight and may fluctuate as much as 10%. A. SPOKES: PWB will replace all broken spokes regardless of the cause. B. LABOR: PWB will cover all wheel related labor i.e. wheel re builds and truing. 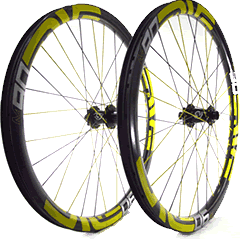 C. NON MANUFATURER WARRANTIES: PWB will replace any non manufacturer warrantied rim or hub at 25% off the current retail. D. MANUFACTURER WARRANTY: PWB will facilitate the manufacturer's warranty, if the manufacturer deems the product warrantable. Manufacturer's warranty is only good as long as the manufacturer is in business. E. SHIPPING: The customer is responsible for shipping to and from PWB. Shipping Time Policy: Stock products will ship within 7 working days of order, based on availability. 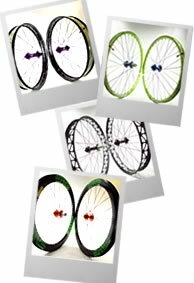 Wheel orders should ship within 15 business days of your order date. This date is independent of the actual shipping time. If there is a problem such as back ordered product / unavailable we will do our best to contact you as soon as possible. Domestic Shipping Policies: Prowheelbuilder is not responsible for damage that may occur during shipping. However we will be happy to help resolve these matters through the package handler. All packages are insured thru the package handler by Prowheelbuilder. We require a signature for all packages. If you request no signature, Prowheelbuilder takes no responsibility for any stolen product. International Shipping Policies: Duties and Taxes are the responsibility of the purchaser. 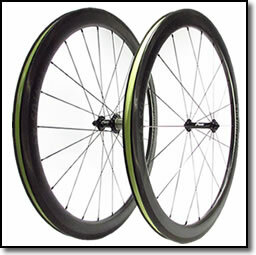 Prowheelbuilder will not alter the customs value. Return Policy: If you are not completely satisfied with our product you may exchange it for any product we sell within 7 days of receiving your purchase (there will be no refund issued for a difference if a lesser item is purchased). Please note that if the exchange is for a component of one of our hand built wheels there may be a 10% fee associated with the exchange. Product must be in new condition and in the original packaging (spokes do not qualify for this return policy). Buyer is responsible for shipping back to seller. Order Modification Policy: If you are exchanging your product for a different color there may be a 10% order modification fee. Refund Policy: Once an order has been placed, no Refunds or Cancellations are allowed. You may alter an order with in 24 hours, providing the order has not been built. If a cancellation must happen a 15% restocking fee will be charged. 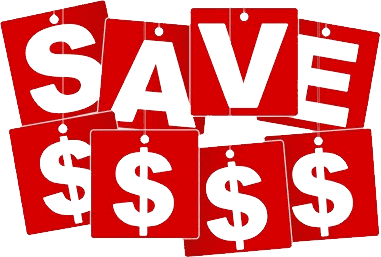 For any item(s) that is returned or declined a 15% restocking fee will be charged along with the shipping / handling fees. Our legendary I-Beam construction has evolved to further reinforce the rim with dual support beams that provide increased strength and stiffness for the world’s most aggressive riders. Proven on the toughest tracks of the Enduro World Series, depended on for daily trail rides, and trusted while bikepacking in remote regions of the world, KOM Tough rims are available in 25, 29, 35, 40 and 45mm widths to provide a burly rim for every usage and style of riding. 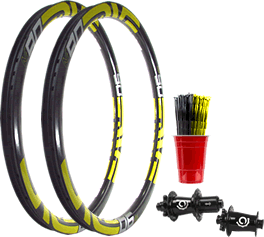 FEATURES: TCS 2.0 creates a more robust, easily installed and dependable tubeless system. 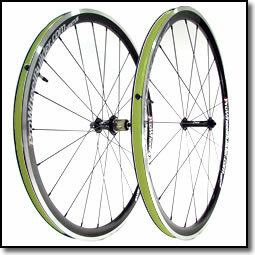 A recessed channel along the center of TCS 2.0 rims allows installation of the all-new Solid Strip, which prevents tubeless tape from sagging at the spoke holes and results in a smooth, consistent interface between the tire and rim. 4D angled spoke drilling eliminates binding and lateral loading, and disperses tension more evenly over a greater area. Products are constantly added, changed and updated so it is possible your build will no longer be available at any given time.